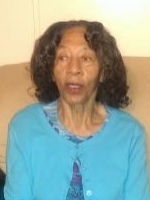 Mary Lucille Holmes, 80, of Walkerton departed this life on Sunday, December 27 in St. Mary's Hospital in Richmond, VA.
She is survived by one daughter, Darlene Holmes and one son, Leon Holmes (Tina). The viewing will be on Wednesday, December 30 from 4-7 p.m. at Washington Funeral Home. The funeral service will be held on Thursday, December 31 at 11 a.m. at Bethlehem Baptist Church, 4389 The Trail, Bruington, VA.Pastor James T. Hill, Sr., Pastor officiating. Rev. Rueben Carter, Eulogist. The interment will be in the church cemetery.